Welcome to Cub Scout Pack 89, Chartered by Fellowship of San Antonio. Scouts primarily attend Tuscany Heights Elementary and The Buckner Fanning School at Mission Springs. 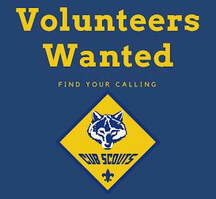 This website contains information on our Pack and the Cub Scout program. Thank you for taking the time to go over this website with your new Cub Scout! With your help, this will be an exciting, rewarding experience for you, your son, your family, and our Pack. We’re glad you’ve joined us! If you have any questions, please don’t hesitate to ask.